THE STORY WHICH INSPIRED THE MAJOR ITV DRAMA TINA AND BOBBY. Bobby Moore's untimely death in 1993, at the age of 51, had a profound impact on the people of this country. As the only English football captain ever to raise the World Cup, he was not just a football icon but a national one. Yet Bobby was an intensely reserved, almost mysterious personality. Only one person was his true friend and confidante - his boyhood sweetheart, Tina, whom he met at 17 and married soon after. 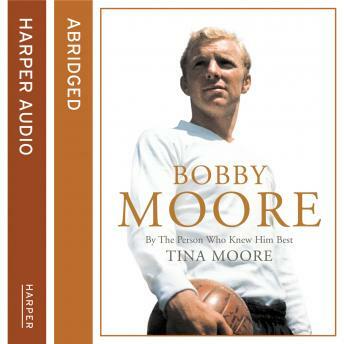 Tina Moore's story of her life with Bobby, the triumphs and crises of his football career, the break-up of their marriage and what happened afterwards, is a moving tribute to a national icon by the person who knew him better than anyone.